QNL organises a variety of events every year, from open trainings to large tournaments. Beside this large international tournaments are organised together with the IQA and Quidditch Europe. Below you will find an overview of the different kinds of events that QNL organises or participates in. You can find the location and dates of the events on the QNL Calendar. Friendlies are more relaxed games where everyone is welcome to join in. Sometimes existing teams play against each other, though generally all players present are split into mixed teams. Friendlies are held a few times a year, with changing host teams. 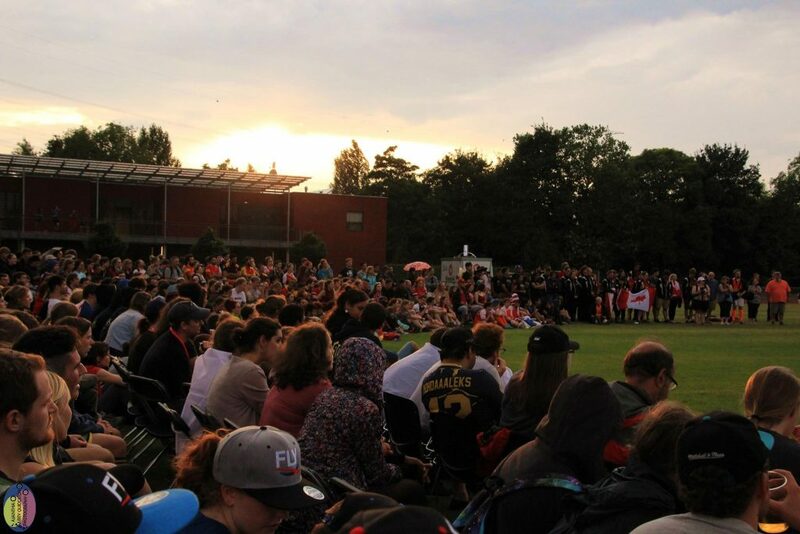 QNL organises the Dutch Quidditch Cup and Open Dutch Summer Cup each year. The Dutch Cup is open to all teams in the Netherlands, and the Open Dutch Cup is also open to international teams. Beside tournaments, QNL also organises a regular season competition: the Dutch Quidditch League. This season, it was split into an autumn and spring competition. All Dutch competitive teams can sign up for the league. More information about the Dutch Quidditch League and results can be found here. Together with the Belgian Quidditch Federation, we try to organise a yearly competition for teams in Belgium, the Netherlands and Luxemburg. (Luxemburg does not currently have an official national quidditch organisation). The specifics of the tournament change yearly, depending on who takes on the organisation of the tournament. We try to change up the location of the tournament between the countries. The last Benelux Cup was in the Netherlands in 2016, so next time the tournament will be organised in Belgium. The European Quidditch Cup, also known as EQC, is held yearly in April. 32 teams from all over Europe participate in the tournament. To be allowed to play at the EQC a team has to first qualify within its own country in a separate qualifying tournament. EQC2018 will take place in Pfaffenhofen an der Ilm, Germany. In July, a large event takes place as the closing of the international quidditch season. In the odd years, the European Games take place. This is a tournament where the national teams of all European countries come to compete against each other. The European Games 2017 took place in Oslo, Norway on 8-9 July. More information about the event can be found on the Facebook Page. In the even years, the World Cup is played. Here national teams from all over the world compete for glory for their country. The World Cup 2018 will take place in Florence, Italy The 2016 World Cup took place in Frankfurt, Germany, on 23-23 July. It was won by Australia, with the United States of America coming second and United Kingdom in third place. Rulebook 2018-2020 is available via iqasport. Interested in becoming a member? Head over to Membership!